Energy Drinks – eating away at your body parts! 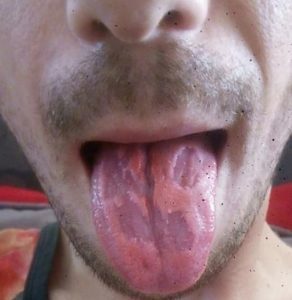 This photo of a teacher’s tongue highlights the damage energy drinks can do to your mouth. Dan Royals shared the snap on social manager to warn others about sugary drinks. The teacher said he used to down up to six energy drinks every day until his doctor told him his health was suffering. The medic apparently pointed out some beverages contain up to 58 grams of sugar per can and the excessive chemicals, including amino acids, B vitamins and herbal substances, were eating away at his flesh. 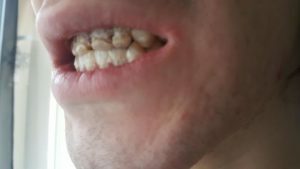 A study by world health organisation researchers states: “A study in the US showed that dental cavities can result from the acidic pH and high-sugar content of products such as energy drinks. He said: “It started as a way to relieve the stress and pressure from my college course because you have to be focused when it comes to computing and coding. https://absolute-dental.co.uk/wp-content/uploads/2019/04/0_energy-drinks.jpg 631 615 Absolute Admin https://absolute-dental.co.uk/wp-content/uploads/2016/11/absolute-logo-NEW1.png Absolute Admin2019-04-02 10:15:372019-04-01 15:23:26Energy Drinks - eating away at your body parts!